Abbreviated HHS or HS, high-speed steel is a steel alloy commonly made with chromium, tungsten, molybdenum, vanadium, or cobalt. 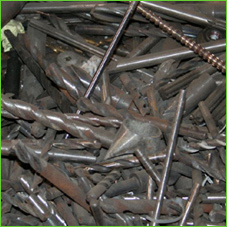 The hardness and durability of high-speed steel at high temperatures makes it an ideal material for cutting or drilling. Manufacturers can reuse high-speed steel in new cutting, drilling, and molding tools.